Are you familiar with the benefits of data-driven marketing? Then, you’re surely missing some big benefits for your business. But, after reading this post, you will be aware of the topmost benefits of data-driven marketing that can you start implementing in your business. So, let’s start the discussion. If you want to grow your business, then you should mandatorily implement data-driven marketing strategies. This particular marketing approach is about the process through which marketers obtain trends plus insights by a thorough analysis of market or company-generated data. It’s followed by the translations of such insights into actionable decisions represented by the numbers. 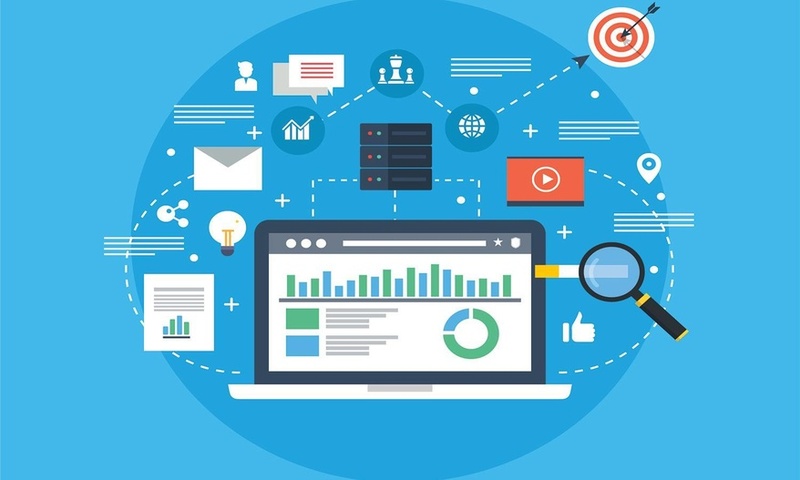 The main objective of data-driven marketing is to incredibly optimize marketing strategies plus processes to adapt with the changing trends and cater to the unique requirements and expectations of consumers and audiences by leveraging data for obtaining thorough insight into the expectations of the customers. When your brand would completely understand the who, where, what, why, and when of how your consumers are engaging with your marketing efforts, you along with your marketing team would be capable of making better decisions regarding each and every aspect, ranging from the advertisement timing in a specific medium to the personalization of marketing copy to fulfill specific audience segments. You’d be stunned to know that only a few of tech-savvy companies were making use of data-driven marketing strategies 10 years ago. It’s obviously due to the fact that such companies found it a wise strategy to stay ahead of their competitors to get a big market share. But, the scenario has been changed now. Nowadays, more and more companies are receiving insights from big data and making use of them for optimizing campaigns by the process of customization of their customer experience. That means data-driven marketing is not an option now- it has become somewhat mandatory. Perhaps, personalization is the biggest advantage of data-driven marketing. This brilliant marketing approach is able to create highly-targeted campaigns along with personalized messaging. According to a study by McKinsey, data-driven personalization results in incredible ROI (Return on investment) on marketing investment. This strategy plus optimum delivery time improved the success of effectiveness and engagement as a whole. Curious to know more benefits? Keep on reading. In times of leveraging data, you can effortlessly expand your reach throughout more than one communication channels. Moreover, customer insights make sure that your messaging remains aligned, consistent, and this process reaches prospective customers at the right time and the right place. Data-driven marketing will help you in identifying particular contents, which are guiding prospective clients throughout your sales funnel. And thus you could analyze whether you’re spending your budget and time correctly or not. Moreover, you can also determine where you should spend your time as well as budget. Owing to data-driven marketing, you can easily pre-target your consumers. That means you can start predicting their preferences and customizing your marketing emails and texts when they are in purchasing mode. And literally, it couldn’t get more timely or relevant than that. Segmentation of prospects based on their action or behavior will help you target your customers easily and properly. Just you need to strain your data to find out the most precise and actionable information. What determines the success of your product/service? Primarily it depends on your target customers’ requirements. Suppose you have launched a top-notch product but no one has its requirement. What will be the result? You can imagine on yourself. Your warehouse will get stuck with the useless devices without any sale. So, before starting the product development, the market analysis is extremely important. But don’t worry- you have the support of data-driven marketing. This incredible marketing strategy greatly alleviates product failure rates. When you will perfectly realize for whom you’re developing products, you can start targeting their specific needs by properly addressing their pain points. What is the major cause of product failure? It’s primarily due to a poor analysis of the market. With the help of data-driven marketing strategies, you can get a better understanding of your target audience that leads to a reduced product failure rate. And thus you can better cater to the requirements and expectations of your prospective clients. As per CMO, 67% of marketers thought speed was among the key benefits of data-driven marketing. Data enables marketers to accelerate their campaign optimization. As a result, they may notice amazing results within weeks, instead of a few months. According to a study of GlobalDMA, 49% of brands were making use of data-driven marketing to improve their customer experience. They can run customer satisfaction surveys and discover areas for further improvement. And it’s especially important for the brand, present in highly innovative industries, as they need to make a lot of investment on their research and development to launch a new product in the market. I hope you’re getting a lot of new information and you’ll implement these strategies in your business after proper customization, as per the requirements. Do you know customers respond differently to different marketing platforms? That means you can’t simply copy marketing campaigns from topmost platforms but you can still take help of established trends. You can easily identify the duration that your target customers are most responsive to your ads. Thus you can choose a proper duration for your new marketing campaigns. You could also find out text and images that seem work best for your brand. Until you’re targeting an appropriate demographic, your marketing campaigns would perform well. It’s also possible to monitor the day-to-day changing conversation rates that will help you analyze how long you need to run your campaigns in times of collecting new data. I hope you have got some insightful information regarding data-driven marketing and its benefits and will start implementing it shortly. Actually, real-time actions hugely determine the success of your marketing strategies, as it doesn’t take much time for buyers to change their mind regarding buying any product/service. So, it’s a high time to start investing in data-driven marketing strategies.